The first day of PAX East 2018 is already in the books, and while we were busy at the booth, our photographers took to the show floor to capture the essence of PAX. We take hundreds of photos over the course of the show (4 days this year! ), and we wanted to share the cream of the crop from the opening day in Boston. AT ASTRO, we love seeing how diverse the ASTRO family is. 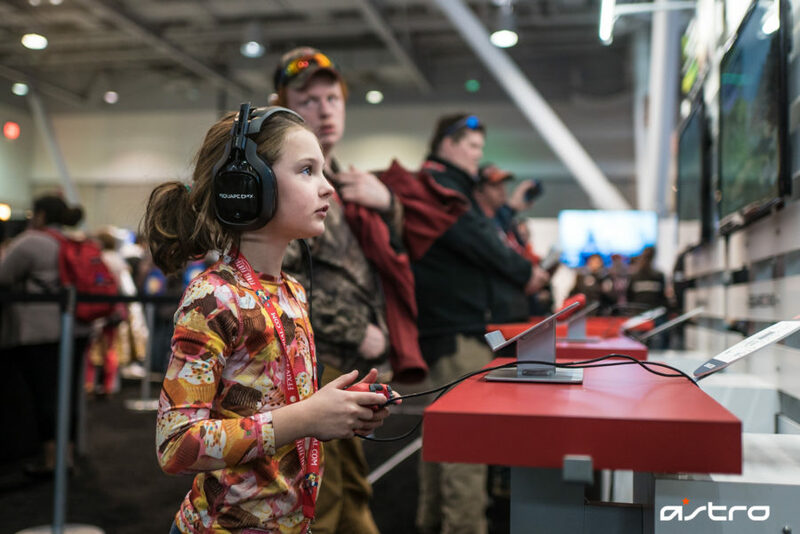 And we love seeing how inclusive the gaming community can be at shows like PAX East. We believe good audio enhances the gaming experience, and we are proponents in helping partners like Square Enix deliver on a superior gaming experience at events. When inclusivity and enhanced gaming audio meet, it’s hard to resist sharing a photo that sums up what doing events for us at ASTRO is all about. Be sure to follow our social feeds for the very latest in esports, events, and the gaming lifestyle!